Long gone are the days when a computer was considered a luxury and was used mainly for work only. With the advent of cheap components buy PC the strength almost everyone. How many users, so many requests — someone needs a workstation, but someone's entertainment center. 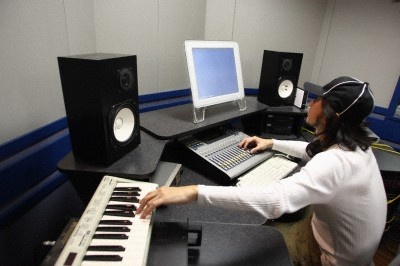 However, regardless of exactly how the computer is used, the presence of sound is almost always required. Analyze examples of solutions to this problem. - any audio output device. For example, speakers or headphones (for sound check). - microphone (optional). Also to check the working of sound card. You first need to decide what role you will play the quality of music produced by your PC. 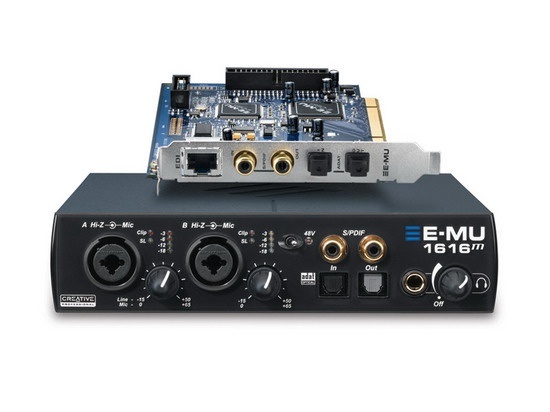 True audiophiles and lovers of movies with multi-channel sound, you certainly need an external sound card, which may be worth considerable money depending on the model. The rest of the users and most gamers will be enough built-in motherboard sound card. To determine whether you have built-in sound, look carefully at the back wall of your system unit. Example audio outputs shown in the figure. To make your built-in sound card to work correctly, install drivers for soundthat came with the motherboard drivers. In most cases, when installing drivers for "motherboard" install sound automatically. If not, select the appropriate item in the menu of the disk with the motherboard drivers. If for some reason the CD drivers was lost, you can always find the latest drivers on the official websites of manufacturers of motherboards. Driver for sound you can find exactly the name of the motherboard. If you have a sound card was purchased separately, make sure that the slot for its installation was clean and free of debris. This can decrease the contact with the outputs of the card. Also make sure that the contacts on the sound card itself was clean and lean. Install the driver from the disk supplied with the sound card. After installing the drivers, you need to fine-tune the sound. For the operating systems Windows XP to do this, go to the following address: "start" - "control Panel" - "Sounds and audio devices". In the opened window select the tab "Audio". In this tab, note the "Volume" button. They allow you to adjust the volume not only for speakers, but also the level of sound for microphone recording. In the same window, tab "Equipment" you can find in the list of installed equipment and also audio devices. In addition to the above settings Windows "Sounds and audio devices" in control panel, you'll be able to find a shortcut to the settings pane of the sound directly in Your sound card. In the case of drivers of Realtek, this label has the appearance of a dynamics and is called "Realtek HD. Control panel audio". In the sound control panel you can not only adjust volume levels, but also to apply to the sound effects, and include a noise-canceling microphone (the panel and the options provided depend on the brand of the sound card). If the external sound card, then after installation you'll likely be able to see the label in the list of installed programs. (e.g. "start" - "All programs" - "the name of the brand sound cards). Of course, test the audio card without speakers or headphones. Plug them into the corresponding connectors of the sound card. Follow the color coded plug the speakers/headphones (usually green) must be installed to the green connector of the sound card. Microphone — in pink. Other connectors are used to connect multi-channel systems. To determine the exact purpose of those or other flowers of the outputs of the sound card from the program to the sound card (a separate document in the case of an external sound card and a section in the manual to the motherboard). Assigning the outputs of the sound card in most cases can be found in the Manager of sound control.